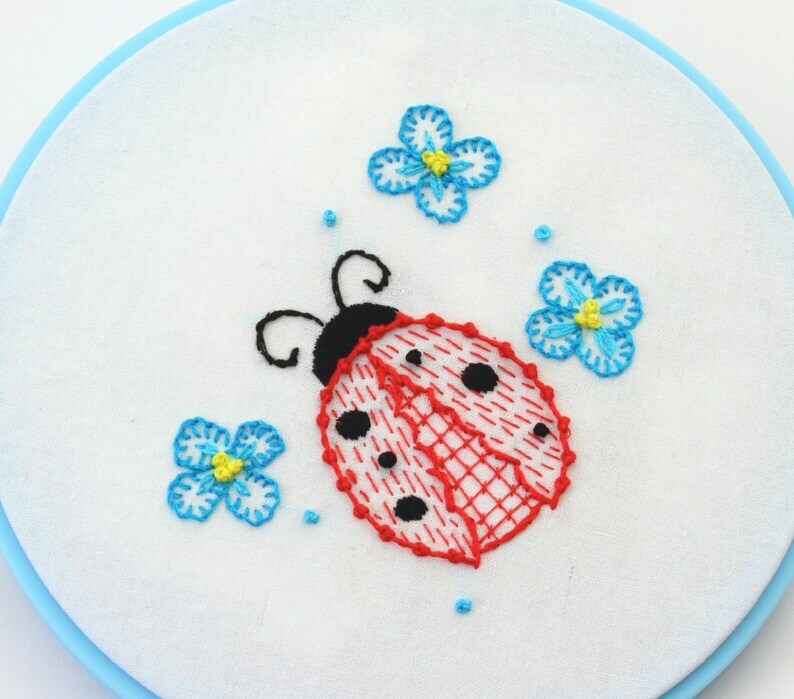 Whimsical ladybugs, flowers and fanciful mushrooms abound in this 12 page hand embroidery pattern packet. So many delightful images to stitch, color, or use with appliqueing. Such a cute, concise pattern.